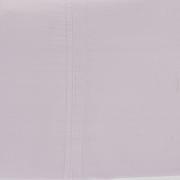 Introduce your home to a new comfort — silky soft rayon from bamboo. The lovely woven material will have you sleeping in such a feeling of luxury you may just forget your responsibilities. Spend your nights reveling in exceptional comfort, and spend your days dreaming about your nights. My mom and I were beyond pleased with this product. We have never been disappointed in any other the other sheets that we have purchased, but these are among the best of the best. Have thoroughly enjoyed sleeping on them and will be ordering more. Crazy for these sheets. Im m a bit of a sheet snob. 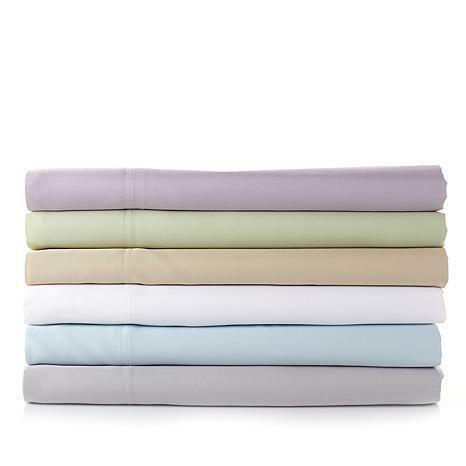 So thrilled to find these super soft sheets at a great price. I ordered white. They are thin, so if you have designs on your mattress they may show through. The sheets are super soft and better after washing. Look and feel like brushed cotton. No pilling. Soft and flowy. I do think they are a bit on the wrinkly side. Deep pockets. 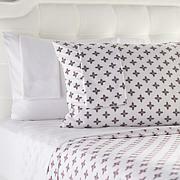 Going to order another set for my guest bed. 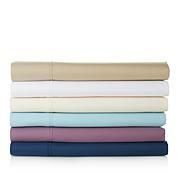 Love this sheet set! They keep me nice and cool at night. The bamboo feels soft and silky and they fit my bed perfectly. Great product! 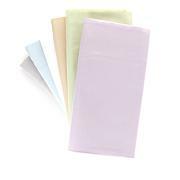 Love these sheets - I don't like stiff scratchy sheets and these are really silky feeling - I gave them a 4-star because they wrinkle very easy. These sheets are horrible! They won stay on my bed at all. The slide off threw the night and crinkle up, making it an uncomfortable sleep. because of I have a pillow top and was excited about bamboo, but I will be returning these immediately.